When you want to enjoy a day of total relaxation, book a trip to the spa. What are the best spas in Phoenix, AZ when you just need to unwind? 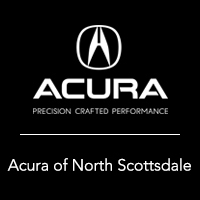 We’ve got four of the top options in the area from the team at Acura North Scottsdale. After a day hitting the green or exploring, you’ll certainly want to relax. Located in the Pointe Hilton Tapatio Cliffs Resort in Phoenix, this day spa offers everything you could want for an afternoon of tranquility. This spa is known for its exceptional staff, as well as their amazing menu of services. Massages and treatments invigorate the body, while facials and salon services bring out your natural glow. Ask about bridal packages, seasonal specials, and couples deals! Head to nearby Paradise Valley to enjoy the dazzling Moroccan-inspired decor and luxurious amenities of Montelucia Resort’s Joya Spa. This luxury spa offers massages and facials enhanced with the spa’s signature scent, but they also offer naturopathic services like essential oil therapy and acupuncture. If you want to try something different, try a the Turkish Hammam Experience with black soap scrub or Moroccan Orange Blossom Ritual with exotic Rhassoul clay masque. The Arizona Grand Spa is a gem located in Phoenix, featuring a wide range of services that will make you feel like royalty. Try the Sedona Mud Detoxification Wrap or the Hot Stone Massage to rejuvenate, or treat yourself to a luxury spa manicure and pedicure for something special. Additionally, Arizona Grand Spa has many tailored specials including Mom to Be Massage and Teen Skin Care. If you want to experience a serene oasis with a focus on botanical ingredients, then The Spa at Camelback Inn is your match. This spa is located near Mummy Mountain in nearby Scottsdale, and specials like the Sonoran Rose Facial and Desert Nectar Honey Wrap will make you feel closer to nature as your worries drift away. Need more intel on the local area? We can point you to plenty of great spots, from things to do and Mexican restaurants in Tempe to day trips around Phoenix. We’d love to help you find your new favorite spots in the area! Please feel free to reach out if you have any questions!